Freggia, the Italian manufacturer of household appliances, has taken thought of those who love cooking a lot and has developed a whole line of professional cookers and a hood. The main advantage of the series is its increased functional capacity and enhanced workspace. 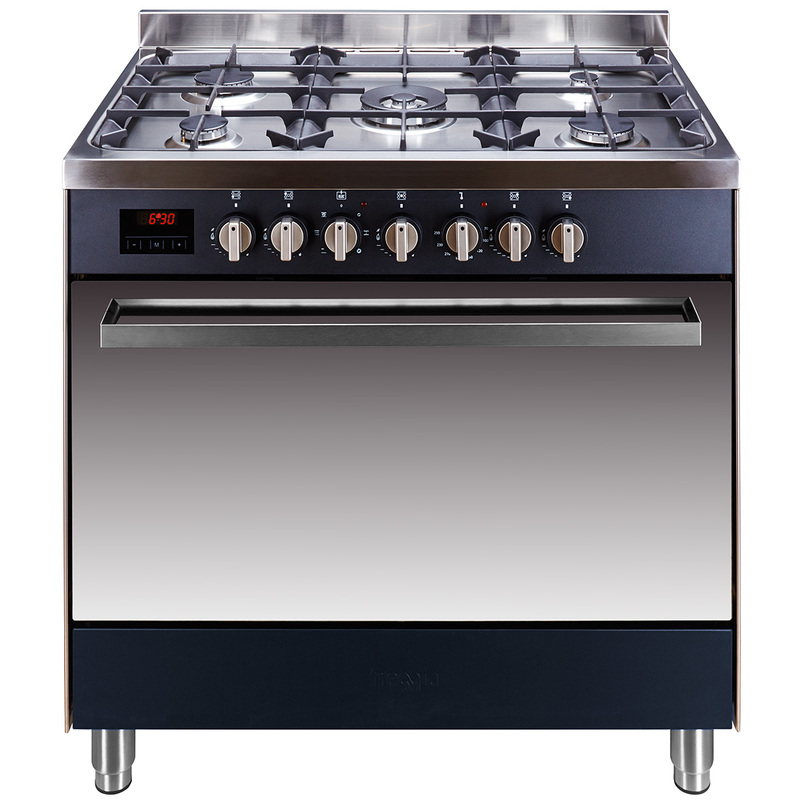 And its elegant restrained design will help the appliances to remain up-to-date for many years and will inspire you for new cooking achievements each time. Cooktops of Professionale PP96GGG50 series are equipped with five burners that gives you a possibility to make several components for the most complex dishes at a time. A superpower turbo-burner having a form of a crown is in the middle of the cooktop. This burner will cook your main dish much faster, and will make your coffee when you are in a hurry to go to work in the morning. If you are late to take a jezve from the cooktop, gas control function will automatically cut off the gas supply because of dead fire. Your safety is above all for Freggia Italian manufacturer. Another story of delicious and exquisite cuisine is gorgeous ovens of Professionale cookers, as they have a convection mode. It allows baking both chocolate muffins and a holiday turkey at the same time preserving all taste characteristics of such different dishes. Besides that, an extra-large inner space (120 l) of the oven will make it possible to bake a turkey or other poultry of the biggest sizes. Meanwhile, the catalytic cleaning system will care about clean oven walls when you are cooking. Under the influence of high temperatures, fat and burnt turn into cinders. And after cooling down, you have only to wipe the remnants with a sponge. It’s very simple, and you don’t need to take any efforts or spend your time. Attractive design, shine of stainless steel and multifunctional performance of the Freggia CHPO9X hood will become a perfect addition to your Professionale series oven. It is of the same style. But the main thing is that it has the same width of 90 cm not dividing the space visually but being integral with the cooker instead. 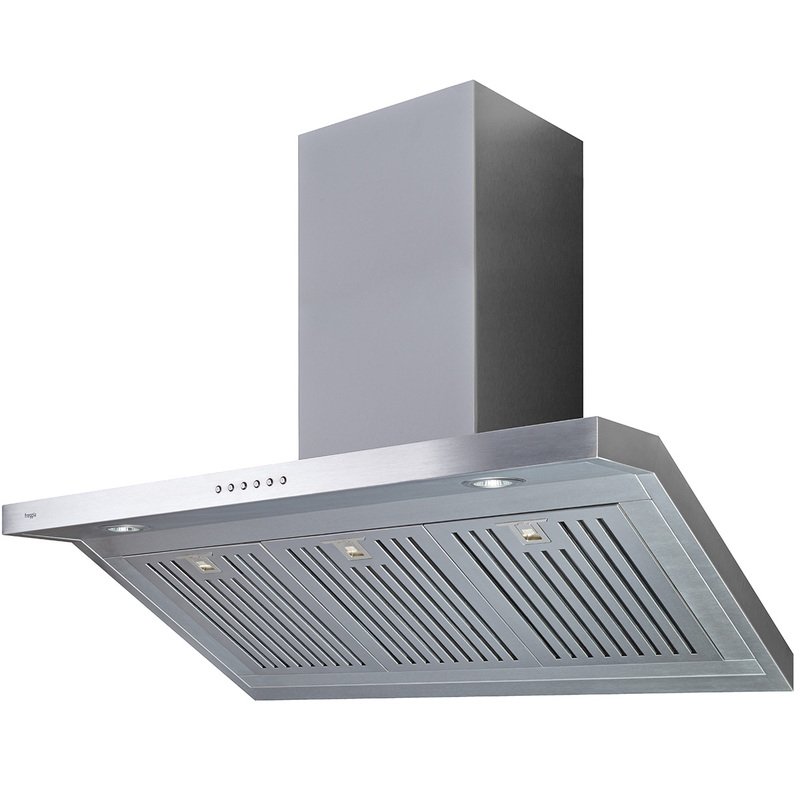 Its capacity of 1,000 m3/h is enough to clean the air quickly after cooking a dinner for the biggest bunch of friends. A steel filter-deflector catches fat from the air, and two carbon filters save you from undesired odours. Your guests will detect only pleasant aromas of cooked dishes. In addition to all technical advantages of the series, Freggia appliances will serve you for many years due to modern technologies and quality materials. Be sure of its quality, as each device is produced at the plant in Italy, and undergoes several stages of quality control. Therefore, Freggia provides 2-year full warranty for each item of Professionale series. Cook with pleasure and for the pleasure of your family and guests!